On the very first Grade That Trade episode of the pod, you sent in creative Sixers trades, and we evaluate them based on entertainment, realism, and overall value. 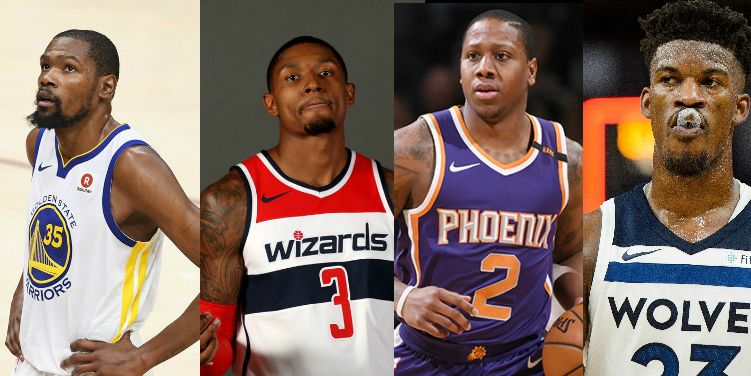 Sixers trades for Bradley Beal, Damian Lillard, Kemba Walker, DeWayne Dedmon, Isaiah Canaan, Kevin Durant, Giannis, Otto Porter, Jimmy Butler, Kyle Korver and more are included. The LICKFACE VOLUME 1: The Flavors Swapped mead from Colony Meadery available now!, Online at this location. Use the promo code LICKFACE for $5 off and a free poster with every order. It’s a pumpkin spice mead with hints of orange and vanilla. Make sure to donate to the RTRS Bark In The Bark team! We’re at $12,000 but need $15,000 to finish first! Get it done! The new date is 11/10, thanks to rain, so we have more time to raise money and more time for you to join the team.